For the last couple of weeks I’ve been using a couple of products from Nakin Skincare. 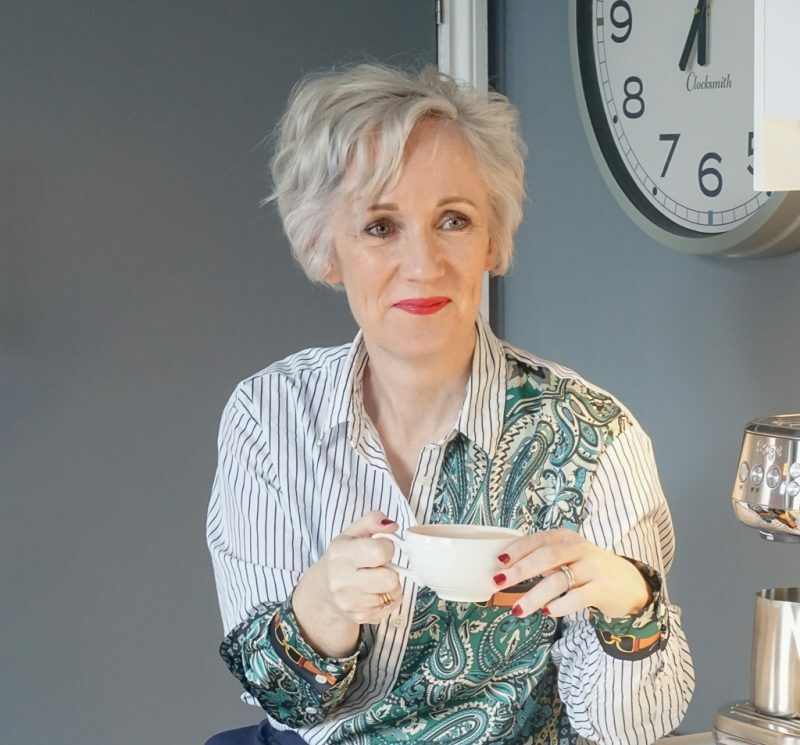 Now they were gifted to me, but I’ve put them through their paces and have some comments to make that I hope will be useful if you’ve fancied trying something new. Nakin Skincare is a natural ant-ageing range of products. They offer premium eco products, all cruelty free and using the best natural ingredients that repair past skin damage, protect from life’s stressors and prevent future harm. Ingredients such as hyaluronic acid, seaweed, plant extracts, healing butters and reviving oils are all used in this selection of cleansers, moisturisers and treatments. 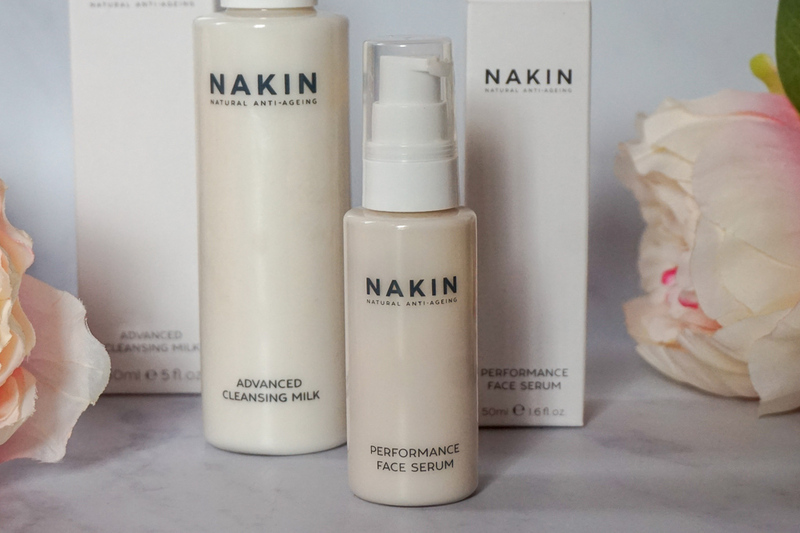 I’d never tried Nakin before so was sent the Anti-Ageing Advanced Cleansing Milk and the Performance Face Serum to run through their paces. Formulated with a blend of oils, Hyaluronic Acid, Pomegranate and Seaweed extract to even skin tone and assist cell renewal, the cleanser has a light feel and a milky, creamy texture. It’s light and easy to use, doesn’t drag on the skin and cleans it perfectly. I’ve tended to use it in the mornings as my morning cleanse, and as the second cleanse in my double cleanse night time routine. It’s left my skin feeling beautifully clean and soft, not at all dry and much smoother than another cleanser I’d been using. It comes away from the skin easily; I use a warm, damp muslin cloth to remove cleansers and give my skin a little exfoliation at the same time, but cotton pads work just as well. 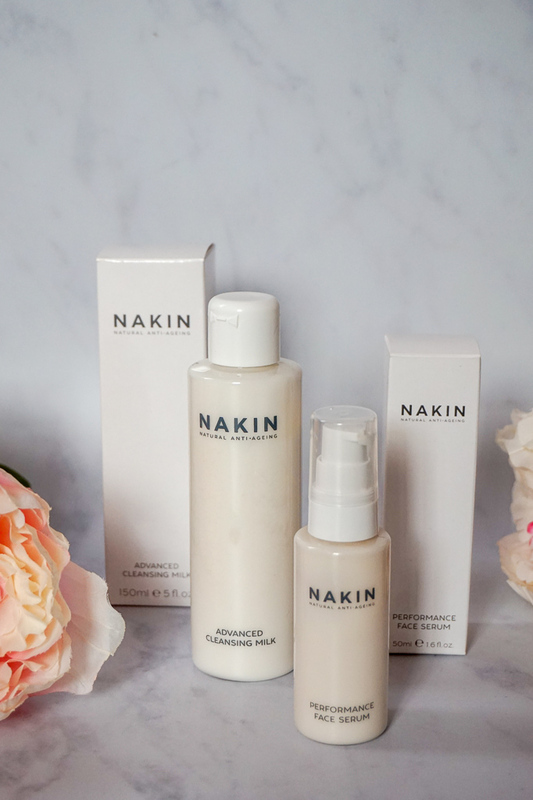 Furthermore, after some heavy retinol use last week my skin was feeling a little sore and tender, and the soothing properties of the Nakin skincare cleanser really calmed the redness and eased the reaction. At the £15 pricepoint, this is definitely a product I’ll turn to and use time and again. Great value, in simple, elegant packaging but with a real focus on the natural, soothing qualities of the product. So let’s talk serums. I love them, can’t get enough of them and am always keen to try out new formulations. Again, I love the natural elements of this Nakin Skincare Performance Face Serum but, I’ll admit, I was a little skeptical. Perhaps I was being a bit serum snobby but I wasn’t sure how this could work for me. And all natural, eco friendly and vegan. It’s a very creamy consistency and when you first put it on it can look like a layer of moisturiser, but it soon melts into the skin, a sign that its been developed well and is easily absorbed. Straight away I notice my skin looks more evenly toned and firmer (probably only to my eye) and a few minutes later feels hydrated and only marginally tacky. It’s nothing that bothers me. I finish up with my usual moisturiser, whether that’s my day or night cream and that’s it. After a few weeks of use I’ve noticed a definite difference in the hydration and softness of my skin. After a couple of trips abroad in the last 6 weeks my skin was definitely feeling the effects, but this seems to have brought it back to life. It sells for £25 and feels like a much more expensive serum, so I’m highly impressed. See more HERE. Check out the products on the Nakin Skincare website. Having tried these two I’m interested to give the face oil and moisturiser a try. 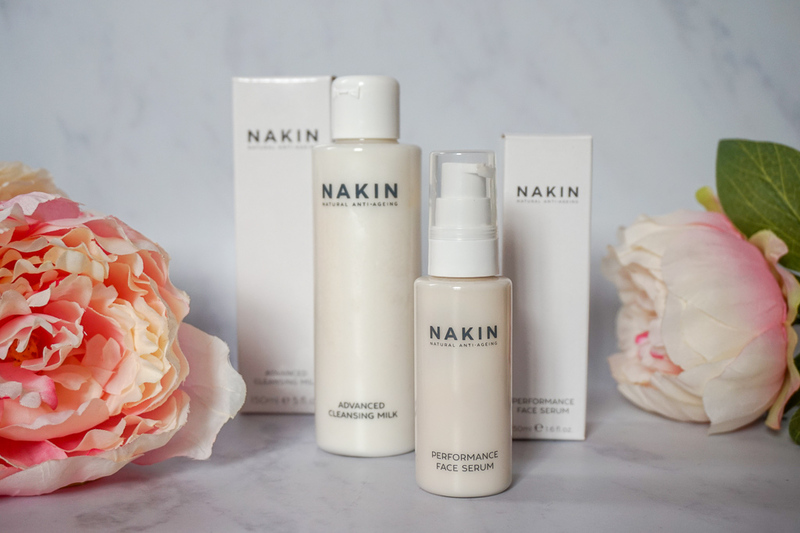 Have you ever tried any products from Nakin Skincare? I’d love to know your thoughts. These products were gifted but all comments and opinions are genuine and my own.